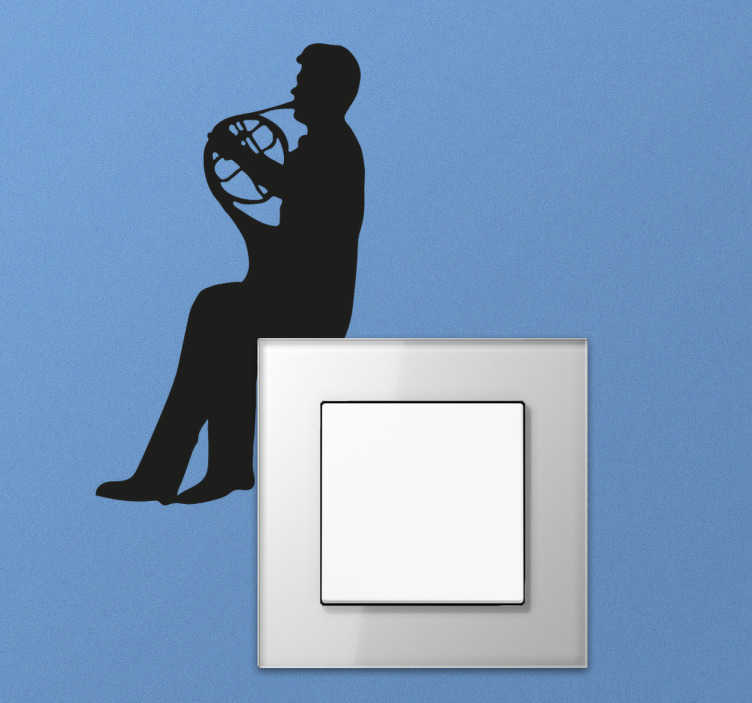 The switch sticker consists of a silhouette man playing the french horn. The sticker is perfect to add just above a switch, to give the illusion the man is playing on the edge of the switch. This switch sticker is available in many different sizes and colours.